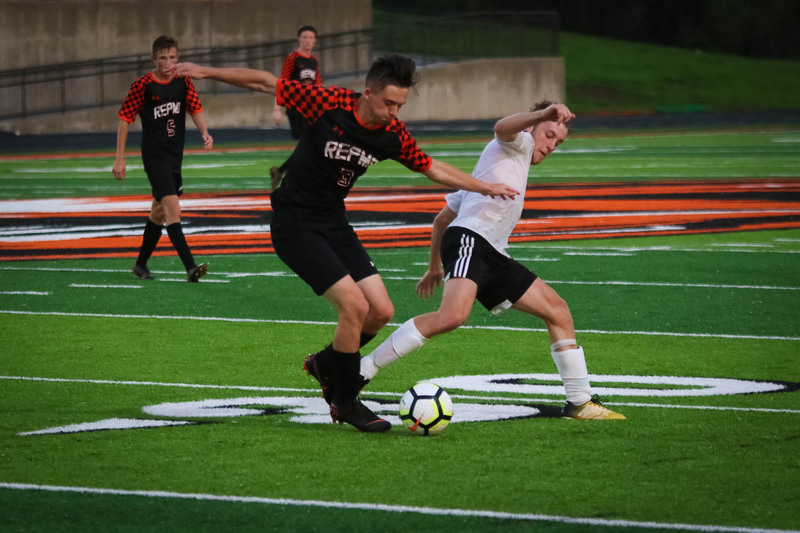 Republic caught fire down the stretch, scoring three goals in the final 15 minutes to overcome a 3-1 deficit and shock Branson on the road, 4-3. Drew Flippin scored the game-winner to cap the comeback. Flippin had assisted Austin Beck on Beck’s game-tying goal just before that. Coach Kevin Hauck says his team is discovering what it’s capable of achieving. “Last Thursday I told the guys we needed to find out who we are this year–what’s our identity,” Hauck says. “We came out fired up in the second half and scored three (goals) to beat West Plains. Flippin scored two goals, in addition to his assist. Beck scored once and assisted on two other goals. Chris Pacheco scored the other goal for Republic. Hauck says the comeback at Branson shows his team they’re never out of a game. The JV team also won, 3-1. The Tigers are home Thursday against Springfield Parkview.